Is This the Most Painful Season of All? Whether out of optimism or a basic survival instinct, upstate New Yorkers learn to enjoy the four season changes. Hard-core, lifelong upstate New Yorkers (of which I am one) have likely settled on a favorite season. Even though fall is a local favorite (thanks to pumpkins and apples), winter has Christmas, spring pulls most of us out of our seasonal depression and summer teases our senses with some occasional sunshine, none of these are my favorite. My favorite season is the fifth season: wedding season. As a church pastor, I get the thrill of being invited into the celebration of a new and lifelong union between a bride and groom. But below all the teeming optimism and romance, weddings have an element of danger. For some, they don’t represent the lovely petals that make a rose beautiful. Instead, with a closer look under the surface, weddings can more vividly represent the hidden thorns that lurk out of plain view. For people ensnared in marriages that are suffering or distressed, this makes wedding season more of a painful reminder of what can follow the newlywed thrill. If you’ve ever had a close-up view of some of the thorns, you know that even the sincerest wedding vows don’t always protect the bride and groom from the pain of betrayal, broken dreams and heartbreak. Selfishness. One of the spouses fights harder for what they want than they fight for what’s best for their marriage. Normally, what’s best for the marriage is different from what they want for themselves. Loneliness. They have unresolved differences and offenses that have wedged them apart, and they can’t seem to move from their isolation to the intimacy they shared before the drift began. 1. Your marriage is bigger than you. God’s design for marriage is to refine you and reflect him. If you look at marriage as a crucible for building self-sacrificing character and as an incubator to experience unconditional love, then marriage gets bigger. If God intends marriage to grow you up to love like Jesus and show what real love requires, then marriage works beautifully. It also generates a new awareness and affection for Jesus’ love, who demonstrated His love by laying His life down to die in our place. 2. Your marriage is hindered by you. Quarreling? Distance, disconnect and conflict? They’re mostly your spouse’s fault, right? He or she is impatient, pushy, demanding and insensitive? Maybe so, but you can only fix what you have control over. In the Christian faith, the Bible points the finger within first. Specifically, acknowledge the harmful reality that the selfish desires at war within you are adding to the turmoil. To save your soul, God accepts these words from us to start: I’m sorry, I was wrong and please forgive me. These same words will help save your marriage. There’s much healing available to anyone willing to humble themselves daily and learn to apologize, admit fault, and ask for forgiveness. 3. Your marriage is not about you. In his gruesome death famously recorded and reported as a crucifixion, Jesus demonstrated the true love of a groom for a bride: he laid his life down for her benefit. He takes her place in death so she can live. This doesn’t mean that wives can’t live without their husband’s self-dying love, or visa versa, but it does mean that she comes more alive when he lives to self-sacrificially serve her needs. If you make your spouse earn or deserve your love, it’s not married love — it’s consumer love. In other words, it’s a love that is mostly “about me”: if you’re giving me what I want, I’ll give you the love you need. A spouse can go anywhere and find that love. That kind of love is immature and weak, and it can never hold up in the crucible of marriage. Ultimately, Jesus’ love holds up because it’s an expression of grace. He is completely self-existent and self-sufficient, so His love never rises or falls on how much He gets from us. God designed marriage to grow healthy from the roots of selfless love. 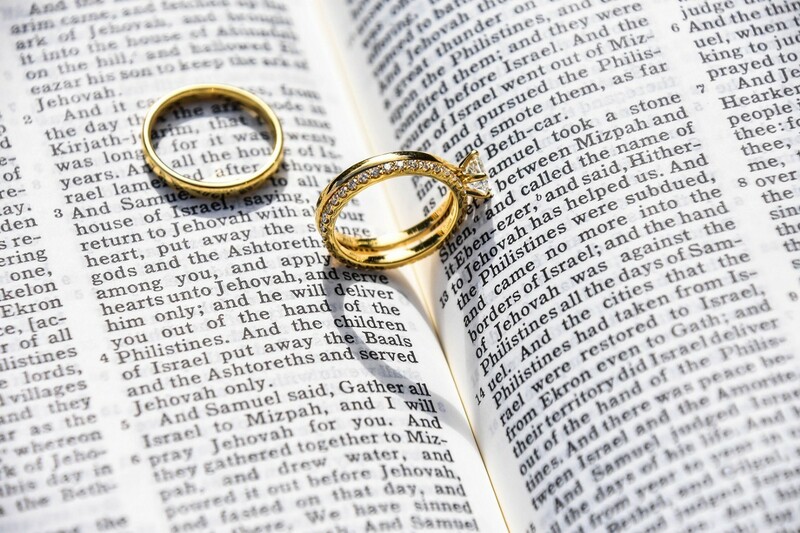 It is bigger than you, it can be hindered by you, and it only withers if your marriage is mostly about what you receive. I guess in some ways, marriage really is about you — specifically, your level of willingness to make it not about you. Tagged Bible, Christianity, Marriage, WeddingscommentLeave a Comment on Is This the Most Painful Season of All?